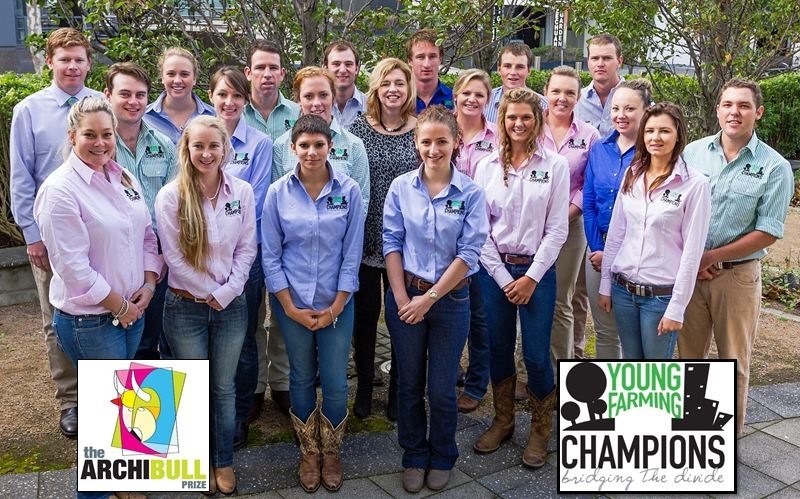 Argentina and Australia – Our Young Farming Champions broaden their perspective, cultural sensitivity and appreciation. 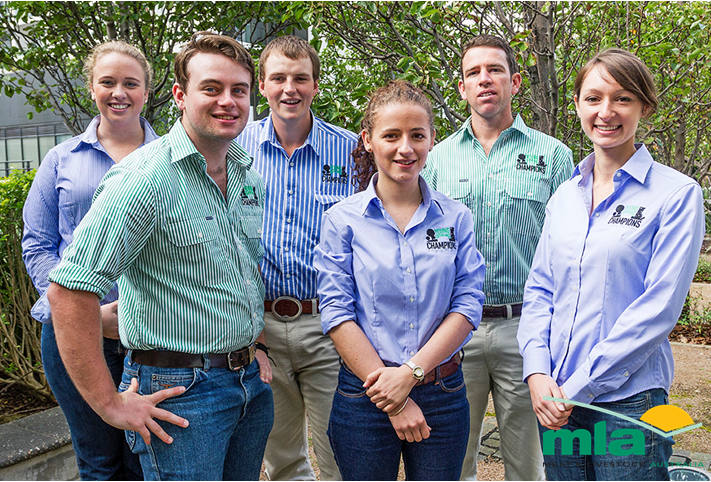 Four of our intrepid Young Farming Champions travelled to Argentina in recent months to share ideas and learn from the South American country, and in doing so opened their eyes to the differences and similarities between Argentine and Australian agriculture. 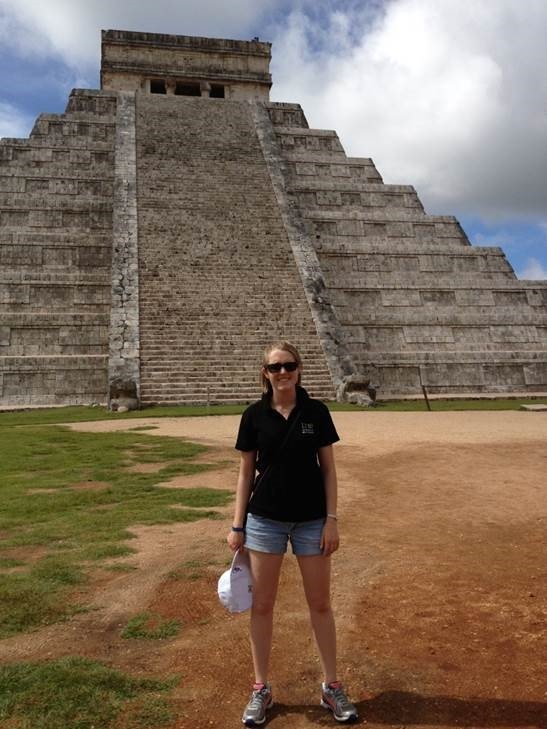 Meg Rice, Lucy Collingridge and Jasmine Whitten were in Argentina and Uruguay as part of their studies with the University of New England. Lucy and Jasmine competed in the IFAMA (International Food and Agribusiness Management Association) Student Case Competition and toured a range of agricultural practices including cropping, beef and mixed practice farms, research organisations, a cattle sale yard in the middle of Buenos Aires, a soybean processing and biofuels plant, an export facility on the Parana River and the headquarters of the largest farmer Co-operative in Argentina. Both girls came away with strong impressions. Anika believes the strength of her tour came from the relationships and collective energy created between the two countries. In a joint statement between young Argentinian and Australian farmers presented to the Australian and Argentinian Agricultural Ministers in their bilateral meeting, they suggested actions to maintain and increase these relationships using both physical and online platforms. You can read more of Anika’s Argentine experiences here. 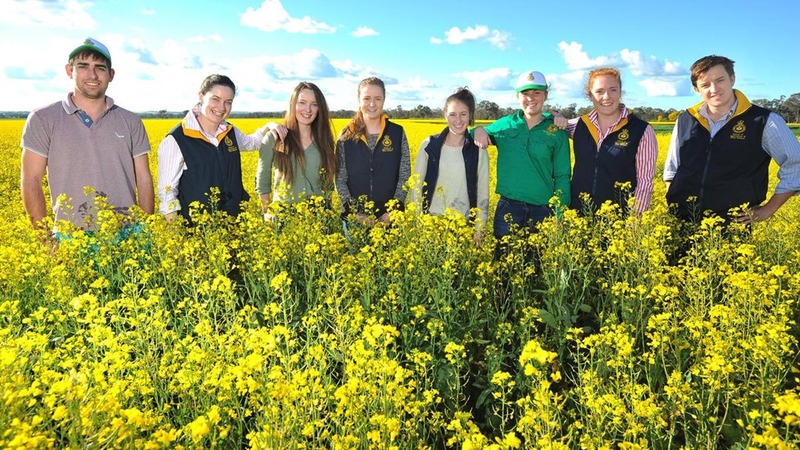 Art4Agriculture’s Young Farming Champions are no longer tied to Australian soils. As Jasmine, Lucy, Meg and Anika show, there are mutual benefits to international agricultural conversations that foster relationships and positive directions for future challenges. Author Picture You in AgriculturePosted on September 10, 2018 September 10, 2018 Categories Food for thought, Leadership, Young Farming ChampionsLeave a comment on Argentina and Australia – Our Young Farming Champions broaden their perspective, cultural sensitivity and appreciation. Nobody likes to be put into a box and labelled. However sometimes it’s very useful to help you make a point so please forgive me for putting Australian consumers of food into 4 boxes. Then there is a small but growing box that I am going to label the people who ‘care’. I am going to call them this because they are the group that will potentially make purchases and are prepared to pay a premium for food grown in a way that meets their values. 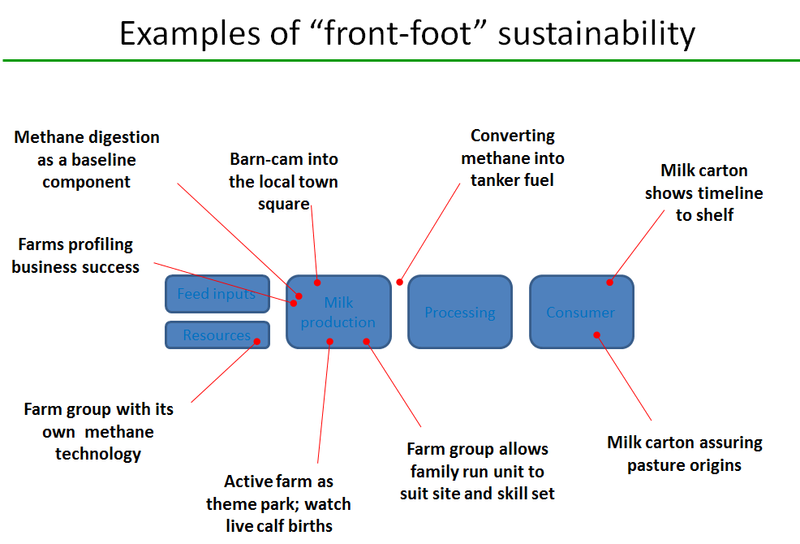 This group of consumers are interested in the ‘how and why’ of growing food and fibre, and also environmental values, sustainability, appropriate animal care, safety, nutrition, affordability and so on. Values are an emotion. They in the main are not measurable and everyone of us has different values and how they prioritise them so the descriptors of the word “care’ can be very diverse. The C,C&Q are easy to satisfy. Sell food at rock bottom prices and build beautiful mega stores in areas that are within easy reach. The C,C&Q group scare the living daylights out of ‘Colesworth” and their ability to meet shareholder expectations. Selling food at rock bottom prices from stores that cost you a motza is a no-win race to the bottom for profit margins. So the group that “Colesworth’ is extremely interested in is the people who “care’. The group that may pay more if you can meet or exceed their values expectations and help them feel good about their food choices. Colesworth want to grow this group. What is extremely disappointing is Coles in particular have chosen fear based marketing campaigns to grow their market share. I say to you Coles – disgraceful conduct. Our good farmers also want to grow this group and I believe for all the right reasons. We want to grow this group by having courageous and open and transparent conversations with them. It is imperative that we take consumers on our journey with us or we run the risk of consumers have increasingly unrealistic expectations. Unrealistic expectations like expecting farmers to wake up every day to produce food at rock bottom prices for nothing. Our farmers have families too and just like everybody else their first priority is to feed and clothe their families. So the key for farmers is to work with the community to get that very necessary balance. Today more than ever agriculture is a partnership between farmers and the community. This year the theme for the Archibull Prize will be “Agriculture* – an endangered species” (ht SK) and students and teachers will investigate the many challenges that farmers face and how we build community partnerships to ensure Agriculture gets off the endangered species list permanently. I want to live in an Australia where we all care about people first. I look forward to that day and I am very proud that the Archibull Prize is helping to grow and support that vision. Please note this post is a work in progress. It was not written to offend anybody. If I have please let me know how should reword it and I will change it. Rider – I admit the only thing I look at when I buy eggs is how crushproof I believe the box they come in is. My name is Joshua Gilbert. I am, a fourth generation Braford breeder on the Mid North Coast of NSW, an area my ancestors have farmed for over 40,000 years. I commenced my law and accounting studies in 2009, with the aim of working in community practice. 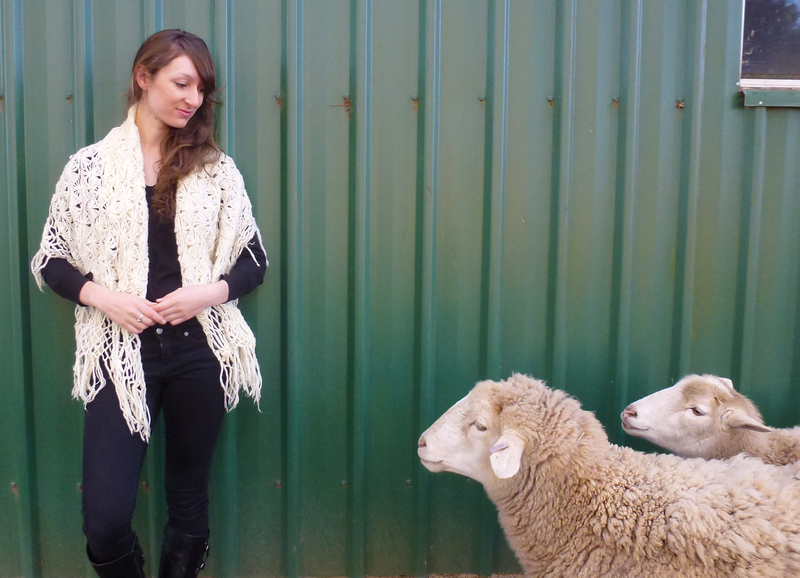 In the process of studying, I found myself drawn back to agriculture, and recognised that my skills could complement both my on farm operations as well as my fellow farmers. My long-term aim is to go back to my family farm. I know that agriculture has changed, and that it now requires high level skills for farmers to be successful in the tough climate we find ourselves in. At a wider level, my background will also help me support farmers to up skill in financial literacy. I am also completing a law degree with a view to spending some time in policy, and getting a greater understanding of what can be achieved. I also hope this training will ensure that I can add value to policy discussions, and ensure we get the best outcomes for agriculture. I am also considering a career in politics. As a young person who is passionate about the cattle industry, watching the impact of the Live Export scrutiny on our fellow farmers in the Northern Beef Industry, I realise the greatest threat to sustainable red meat production in this country, is no longer harsh climatic conditions and volatile prices, but rather, whether or not our customers find our farming and animal welfare practices socially acceptable. I also acknowledge that negative consumer images and perceptions about modern farming practices are seriously threatening farmers’ social licence to operate. I feel very passionate about ensuring I have the knowledge, skill sets and a team of people-around me, to help turn this around. I identified the Art4Agriculture Young Farming Champions as a group of young people who felt just like me. A core focus of the program is to provide training in how to effectively engage and build relationships with consumers. Through our learning and interactioins we are finding this is an important foundation to success. I have just completed my first year of training, which involved learning how to tailor my presentation to an audience in a way that resonates and how to engage with school children. What is particularly exciting about the program is we are also able to engage with their teachers and friends to build a cohort of people who become ambassadors for agriculture and are excited about careers in agriculture. The program teaches us that the aim is not to educate. The aim is to engage and provide opportunities for consumers to have open, honest and transparent conversations. 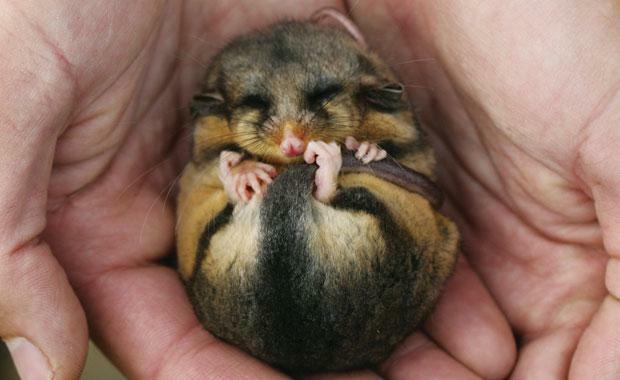 In this way, we are able to convey we care just as much about the environment and animal well-being as they do. We are in turn able to show them how challenging it is to farm in a world with declining natural resources, and that if we are going to do this successfully, we need to build strong partnerships between agriculture and the community. We are also given media training with a strong focus on handling the difficult questions. This has been particularly rewarding for me and shown me it’s not as hard as you might think. I was recently asked to participate in a live radio interview with the ABC about an upcoming presentation I was to give to the NSW Farmers, Wagga District Council. Having completed a few interviews before with very supportive journalists, I knew I had been lucky and that this would not always be the case. Prior to the event, I prepared my key messages and because of my Young Farming Champions media training, I was able to stay on message no matter how hard the journalist wanted me to focus on the negatives of agriculture. Next year I will have the opportunity to hone my skills by going into schools as part of Art4Agriculture’s programs. Once I have graduated to the next level, I will be given the opportunity to attend master classes, where I will learn how to engage with a diverse range of audiences. Art4Agriculture has recently built a relationship with Rotary and Young Farming Champions who have done master classes will now have an opportunity to present to Rotary groups across Sydney. But there are plenty more people out there, who are just as passionate as me. People who want to be proactive and build relationships with the community, so we can all work together. Similarly, they need training, mentoring and ongoing support. Too often I see passionate advocates provided with half day media training and then expected to talk to the media and get it right. We all feel a huge responsibility when we talk on behalf of our sector and the industry we are part of. It is our responsibility to ensure that the people who take this role on are provided the best training and support, that people who are the faces of the corporate world receive. We also need to acknowledge not everyone is suitable for this, and we need to support and show how people can value-add to advocacy in many different ways at a level that they are comfortable with. I am using the skills, knowledge and networks I have developed as an MLA Young Farming Champion to help other youth recognise the social networks and relationships that underpin the new community interest in how our food is produced. This is a great opportunity for us to engage with consumers, and have two-way conversations, that will generate a mutual understanding of each other’s challenges and constraints. I believe that as farmers, we have so much to share and are so passionate about what we do, however we have not historically been good at communicating this. Our narrative is not to change people’s values, but to demonstrate that farmers share these same values. We have immense pride in what we do; we just need to share these narratives beyond our farm gates to instil trust and confidence in our practices. Rather than bombard consumers with more science, research or information, I believe it is integral that we demonstrate that we share our consumers’ values on topics that they are most concerned about—safe food, global warming, quality nutrition and animal welfare. As part of the Young Farming Champion team I now have access to mentors and training, to help develop the skills sets, knowledge and confidence to be part of the solution. These mentors have hands-on, coal face experience, and share this openly and passionately- to help all those involved in the program. This experience is critical to our success- a crucial knowledge bank and practical resources that ensure we don’t repeat the same mistakes that we may have made in the past. We need to be talking about our farms and our values to become just another role of the farmer. However it is important to note that this process does not involve educating people, but rather being open and transparent when they want to engage with us. Just like farmers learn how to use new farming equipment and technologies, we need to build up our farming community to be confident and have skills to talk about what they do and why they do it. My Young Farming Champion story has shown what is possible, it has shown what the backbone of the farming narrative needs to be, and that we can build a confident and skilled group of likeminded people, prepared to talk positively about farming. It is important agriculture comes together, up skill its people and start telling its story to the world. 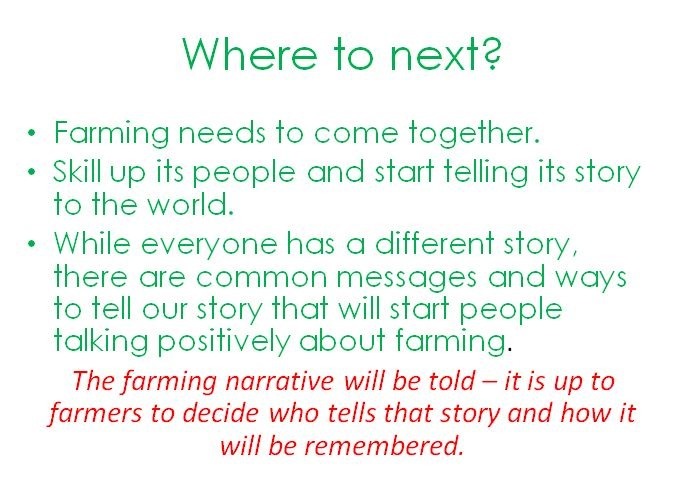 While everyone has a different story, there are common messages and ways to tell our story that will start people talking positively about farming. Tonight, I want to challenge your thoughts on how we communicate as an industry. It starts with a few facts, and how a shift in these completely changes how we are viewed and operate as an industry. Our great nation is said to have been ​founded on the sheep’s back. 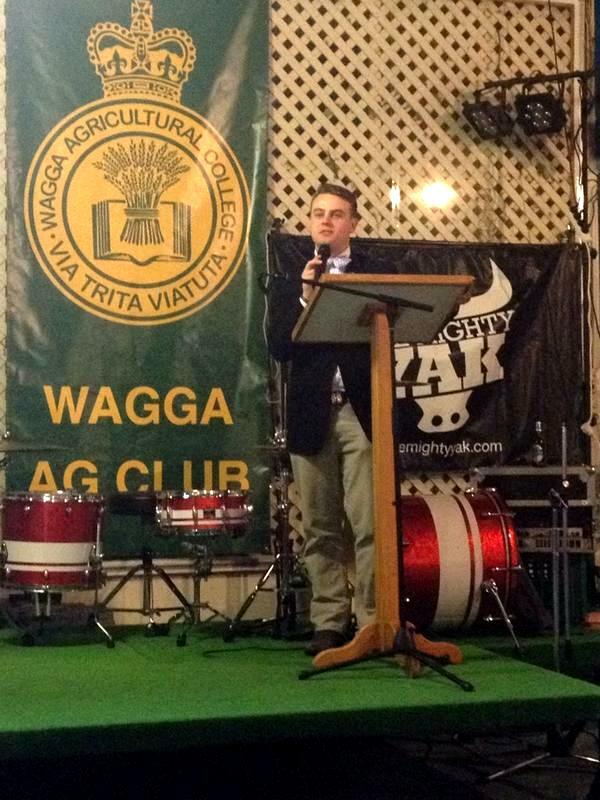 I expect the Wagga Agricultural Industry Ball will become an annual event for us to discuss these changes. That we will have the opportunity to meet back here each year and challenge our ideals and ways of thinking, so we can best move forward as an industry. 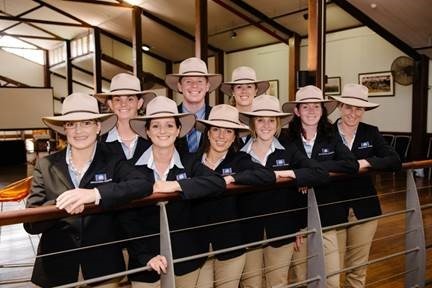 I would like to congratulate the organisers of this event and also recognise my NSW Young Farmer colleagues in the room. Recently someone close to me told me that I can’t need something. That I can’t use this word to try and change things. And while at the time I argued until I was blue in the face that I knew better, I was wrong. This got me thinking about our marketing strategy for agriculture and how we bombard ourselves and our consumers with statements such as ‘every day, three times a day, you need a farmer’ or that we should ‘ thank our farmers because we ate today’. And while you and I understand the rationale behind this, I think we’re sending the wrong message out to people who don’t necessarily share our enthusiasm or knowledge of our industry. So this poses the next question. Why is it that we use this language? Whether we like it or not there will always be consumers who don’t care where their food comes from as long as its affordable and nutritious. And in reality this is a good thing and our role as farmers is to maintain or enhance the underlying faith those consumers have in the food and fibre we produce. There is however up to 10% of the population who care very much about how their food and fibre is produced and are questioning modern farming methods. It is imperative we acknowledge that part of our role as a farmers and members of the agriculture sector is to actively engage and build honest and transparent relationships with these consumers. It is imperative that agriculture offers them access to real farmers and the opportunity to ask questions even the difficult ones. Its is imperative that our farmers not get defensive and have the skills sets and knowledge to engage with non farmers audiences in a language that resonates with them. 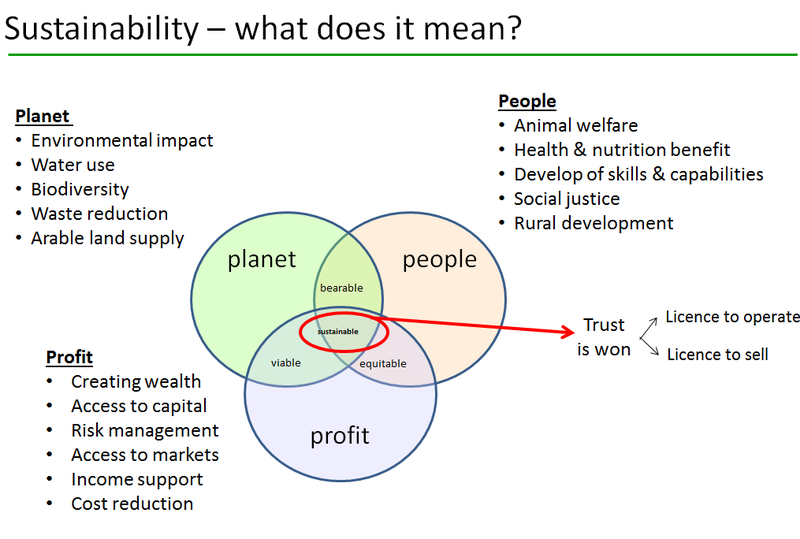 Trust, respect, pride and faith in farmers and farming practices are developed through positive messages and transparency, through messages that build a connection and pride Playing the sympathy or the you “need me” card on the other hand only polarises the very people it is so important we build these connections with. The truth is farmers and consumers need each other. We must rise above this ‘them and us’ mindset and focus on sharing with the community that Australian farmers are committed to being leaders on the world’s stage in safe, affordable nutritious food and quality fibre production. To ensure that we get the ball rolling tonight, I’d like for you all to pull out your phones. 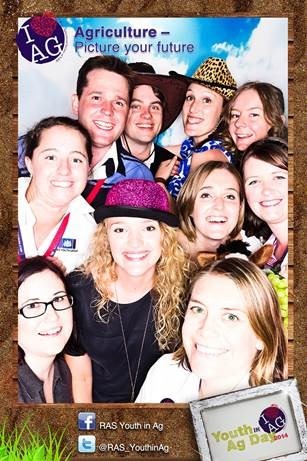 I have a tweet here that will link to my Facebook that states ‘The future ag leaders at #WACAgBall14- we all love what we do, we are all proud of what we do,so let’s share it with the world’. What I’d like you to do is this- retweet, share, like, comment, favourite the message and start sharing your stories. 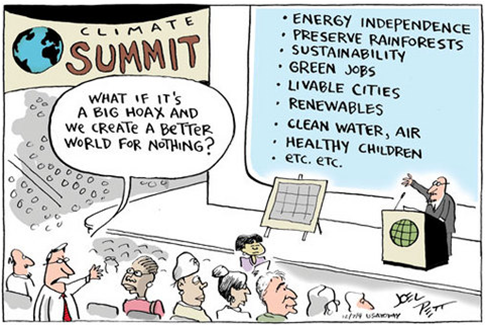 If we are to create this change- we need to start working on it now. Lastly, I’d encourage you to keep the conversation going. Think about why you’re involved in agriculture, the impact that you play and what you want the future to look like. Then plan and share- because together we can achieve greatness. The future is a clean canvas where we can create our own art or allow others and circumstance to randomly direct our destiny. The Archibull Prize is not just for young Picassos. It combines art and multimedia to share the students’ journey with the community. You can find 4 blog examples from the winning schools here. 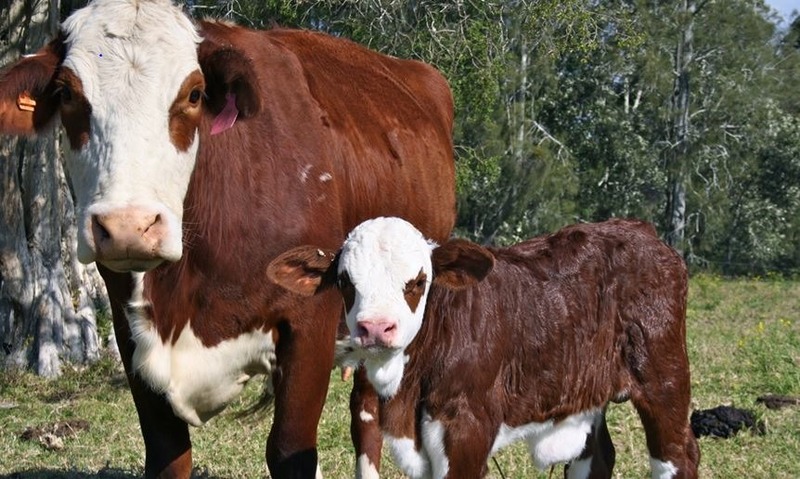 The students will be given on farm insights on how in recent years most Australian farmers have adjusted their farming practices to improve the animal husbandry and environmental and economic sustainability outcomes of their farming systems. 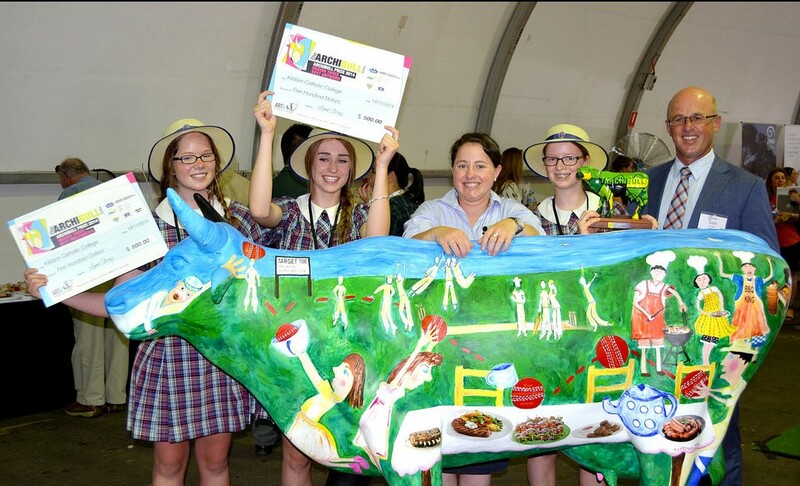 But the Archibull Prize journey is not all about the role farmers are playing, it also helps the students reflect and understand the role they can play to ensure a sustainable future. As you go through our day today, we must own the past, manage the present, and imagine the future.